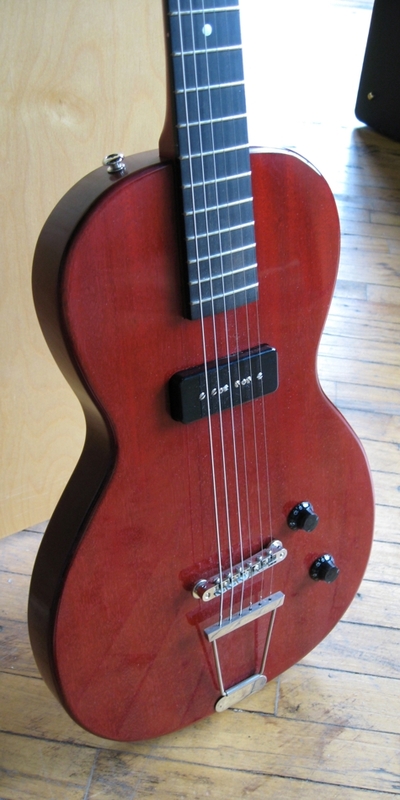 Over the years I have watched the metamorphosis of the electric guitar as it passed through a series of stages: the Floyd Rose Vibrato, the single HOT bridge pickup, the cut-away, the double cut-away, 18 frets, 24 frets, self-sustaining pickups, neck joints at the 14th fret, neck joints at the 16th fret, and on some neck-through models the joint occurs even higher up the neck. 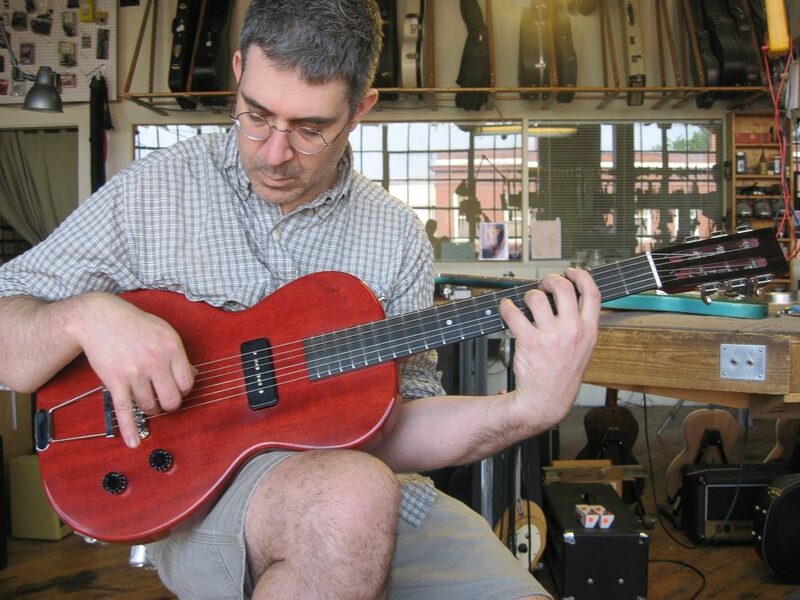 While each of these innovations can be new and exciting, they often rob the instrument of its tonality, functionality and longevity. 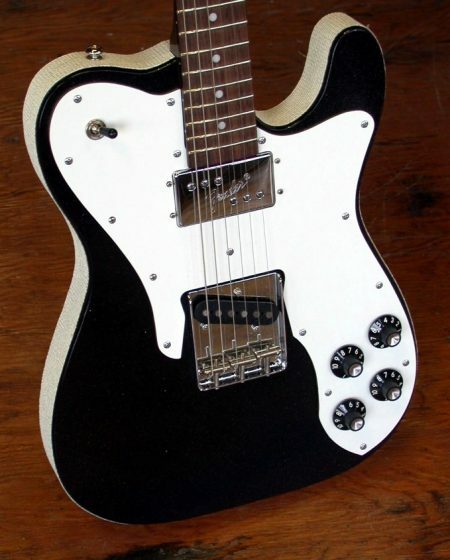 The Original Luddite is a modern manifestation of the 1920s parlour guitar. 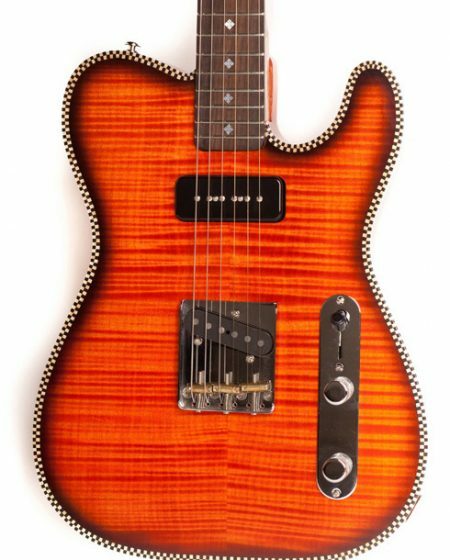 It has a single neck pickup, a tunamatic-style bridge with a short trapeze tailpiece and the neck joins the body at the 12th fret. 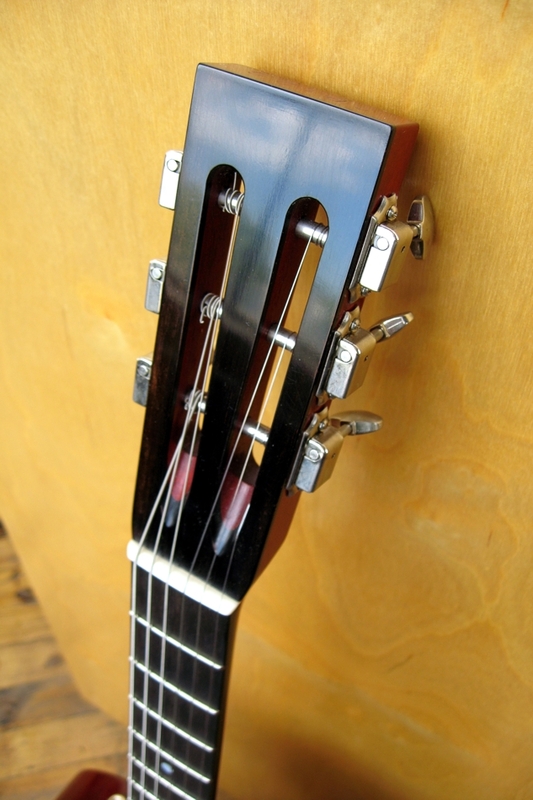 The slotted headstock provides the strings a greater break angle over the nut. 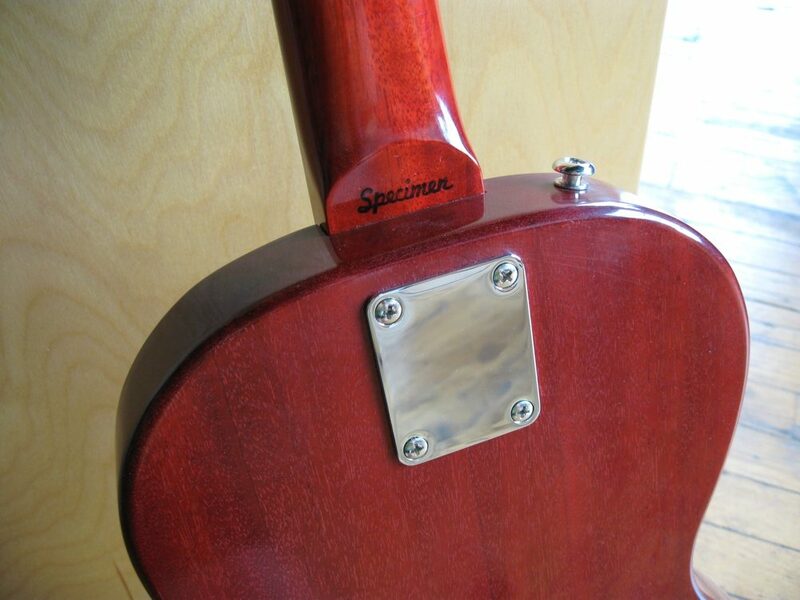 This imparts more energy from the vibrating string into the neck. 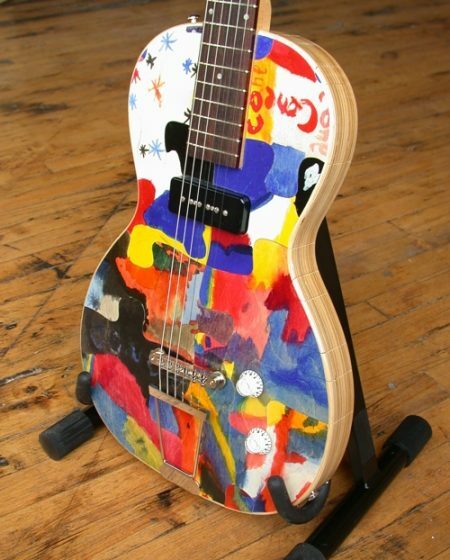 Don’t let the simplicity of this guitar fool you, there are rich tonal complexities lurking within. 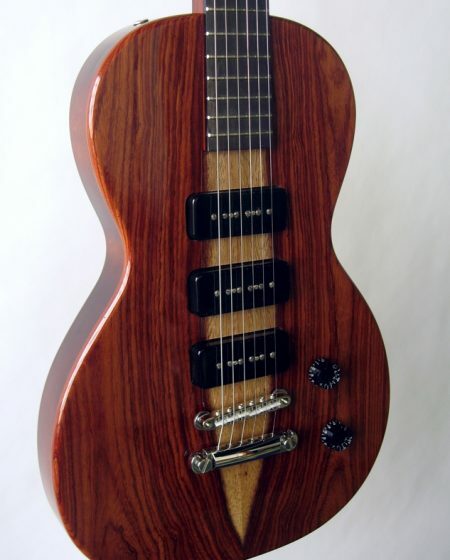 All Specimen Luddite guitars have a tonally superior non-adjustable steel or carbon fiber neck reinforcements instead of nasty, noisy, fickle and unstable, potentially short lived, adjustable truss rods. 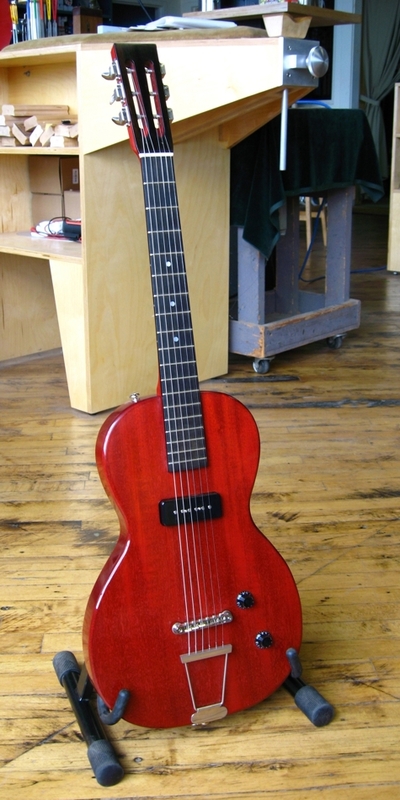 All join the body at the twelfth fret and have no cutaways. 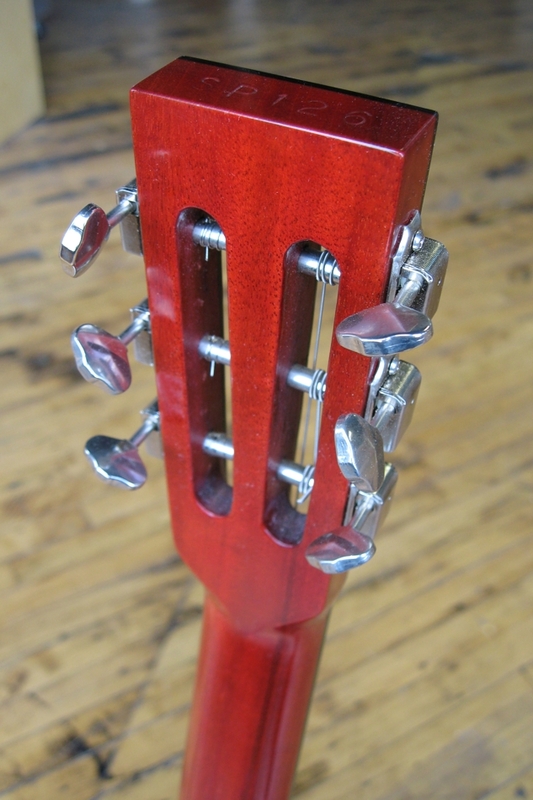 All have slotted headstocks. It’s a joy fleshing out a model to meet various needs and with the Luddite’s sublime silhouette and simplicity, the manifestations are endless.